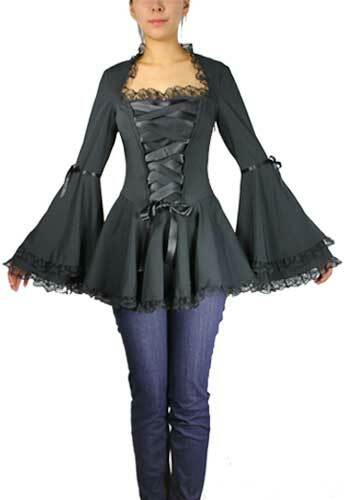 Reviews: Plus Size Black Gothic Corset Ribbon Lace Top  - $51.99 : Mystic Crypt, the most unique, hard to find items at ghoulishly great prices! I own this too. LOVE IT!!! Everyone wants to know where I got...should I tell them? Date Added: 06/03/2016 by CARLA H.